I can’t believe 3 years have flown by since the first issue of my monthly email newsletter Staging Diva Dispatch. To celebrate I decided to introduce a whole new look for 2009! I hope you like it and I welcome your feedback. To go along with the new look I’ve rebuilt this site and turned it into a blog format. Articles from each monthly issue will be posted here as individual blog posts. 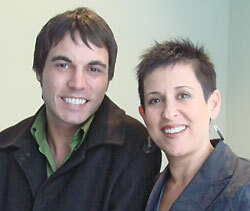 To read archived content from Staging Diva Dispatch from February 2006 until December 2008, check out the Pages section of this site. To mark the new year, I’ve also brought a whole new look to another of my blogs. Previously called The Business of Home Staging, I’ve reintroduced it as Home Staging Business Report. It’s filled with articles to help you start and grow and home staging business plus postings for home staging projects from all over the world. These real estate staging jobs are open to Graduates of the Staging Diva Program. If you’d like to be notified when I post a new article or staging job opportunity, fill out the green box when you visit Home Staging Business Report. The start of a new year always fills me with excitement for what lies ahead, despite what’s going on in the news. In reality there are lots of opportunities to build your home staging business right now, and home sellers have never needed our help more. While their real estate agents say, “drop your price,” (which is money right out of their pocket) we can say, “let me show you how I can help buyers fall in love with your house so they’ll want to buy now.” Which message do you think they’ll find more appealing? If you’re in Canada you might have caught the new HGTV series “The Decorating Adventures of Ambrose Price.” This is the two of us during the shoot for an upcoming episode in which I’ll be teaching Ambrose all about home staging and then evaluating a condo he stages himself at the end of the show. Many of you have written to thank me for the 12 Days of Christmas Promotion and the 2009 Home Staging Horoscope. Your feedback is always appreciated. I’m thrilled so many Staging Diva Dispatch readers accepted my invitation to join me on Facebook and Twitter. I’ll be sharing more about how to use Social Marketing to build your business in the months ahead and it will make more sense if you’re already a little familiar with these tools. I welcome your opinions, success stories and/or new story ideas. If you’re wondering how to get me to write about your business, it’s really as simple as sending me content along with a photo or two. I love to promote Staging Diva Graduates wherever I can! Happy New Year and best wishes for a prosperous 2009! 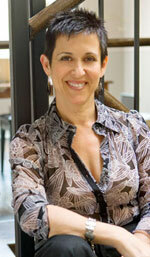 Debra Gould’s mission is to inspire others to follow their dreams and use their innate talents to also earn a living. She has trained over 1000 women and men on five continents how to take their talent for decorating and turn it into a successful home staging business. 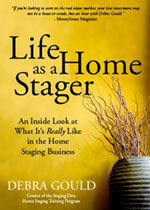 Learn more about the Staging Diva Home Staging Business Training Program.